How do you throw the best office Christmas party? Want a festive celebration for your staff or clients that’s a bit different this year? Find out why Exquisite Cocktail Masterclasses are the ideal Christmas party choice. The office Christmas party is a wonderful way to show appreciation for employees and co workers. A festive celebration Christmas party with cocktails is definitely fun and colourful. An Exquisite Cocktail masterclass solves the conundrum of pleasing everybody as a cocktail party offers yummy drinks, entertainment and get-involved activities all rolled into one. The office Christmas party is a great time to celebrate that another year of success and growth and possibly challenges faced as a team has been shared. Cocktails are the mark of a special occasion that reinforces the message of more than just a ‘’good job’’ and is a memorable way to drink to all of those shared moment with the ‘second family’. 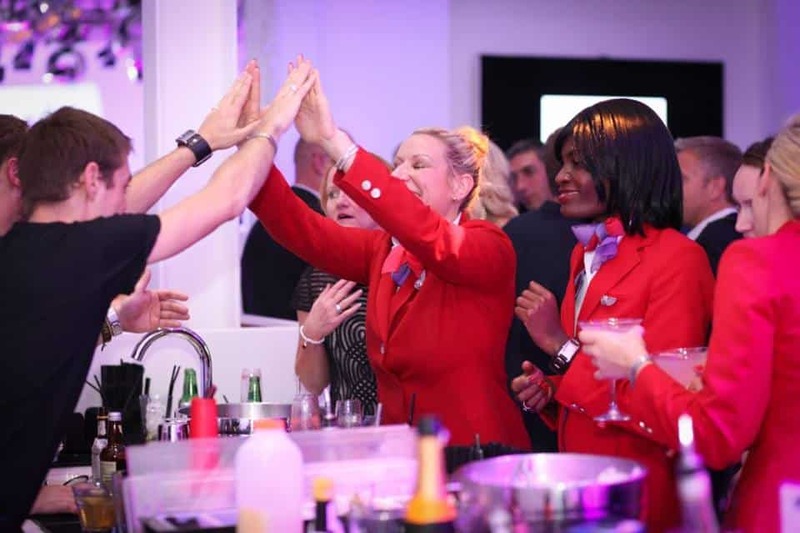 Depending on the size of your company or department you can even add a branded bar and welcoming hostesses to mark the occasion and give your team the ‘special VIP treatment’. Now this isn’t a reference to grabbing your colleague after the fifth champagne cocktail. Though quick fact for you, research shows that more than a million people have turned up to work the next day wearing the same clothes as the day before – doing the work ‘walk of shame’ after the staff Christmas party, so bring a bag of fresh clothes to the office and no one will be any the wiser! Now, imagine the scenario, it’s 10am Christmas day, the Christmas PJ’s are still on, the Turkey is roasting perfectly, and you turn to your loved ones with “Who fancies a lychee Martini, a classic Caipirinha or a Evergreen Swizzle?” as you pull some mint leaves from your sleeve and crack some ice with your elbow. These winter warmer cocktails go down nicely in all ways. 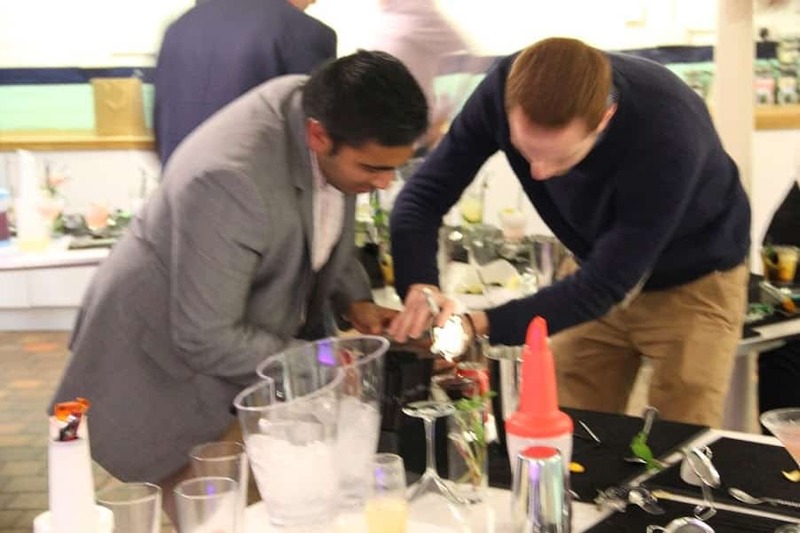 An Exquisite Cocktails masterclass provides the opportunity for everybody to get their hands on mixing, shaking, throwing and hopefully catching cocktails shakers and spirit bottles. Exquisite Cocktails mixologist’s work for some of the biggest brands around the UK and Europe to entertain and showcase cocktails as premier experience. You’ll get to experience first hand some coaching from our expert mixologists as you share each other’s cocktail creations and learn thing or two about what makes a beautiful cocktail. Maybe you’ve been tasked with the job of ringing round bars, caterers, taking office Google polls on who likes traditional, buffet or Pizza, pinning taxi routes, hassling the boss for his credit card and quite frankly spending more time doing a good impression of Anne Diamond on ‘points of view’ as you skill-fully handle the good, the bad and ugly of ideas of office parties. Well no need to put any ice cubes on as one of reasons why masterclasses are so naturally popular round this time of year is that Exquisite Cocktails bring everything for you. They bring the equipment, the drinks, the ingredients, the host, the set up AND deliver a fun that is an all inclusive experience. What a relief ! This year an office party that isn’t hard work! 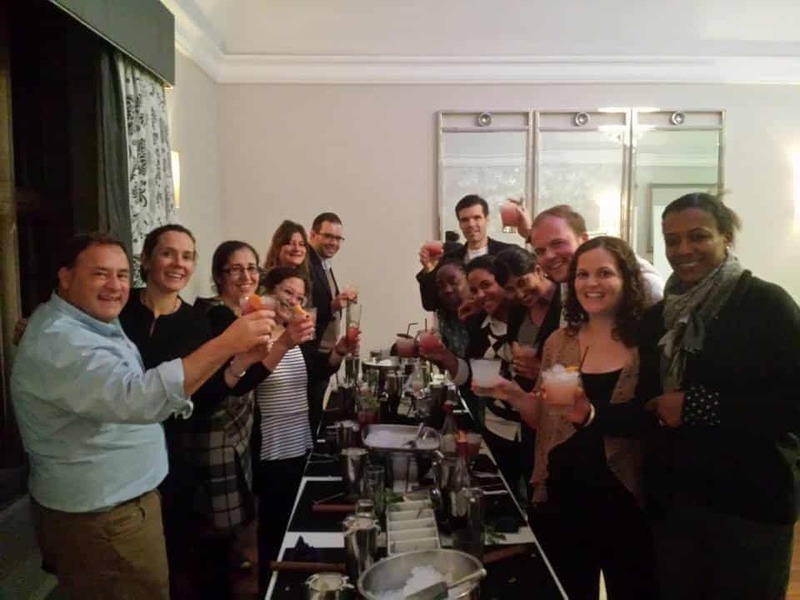 Exquisite Cocktails prides themselves on Masterclasses that guarantees office and team parties go down in company history as one of the greats! From 25 to 250 to 2,000 people, in the office or a special location they love to ensure that every masterclass will have your colleagues swept of their feet with laughter quicker than Santa can say “Take me to the stars Rudolph!”. 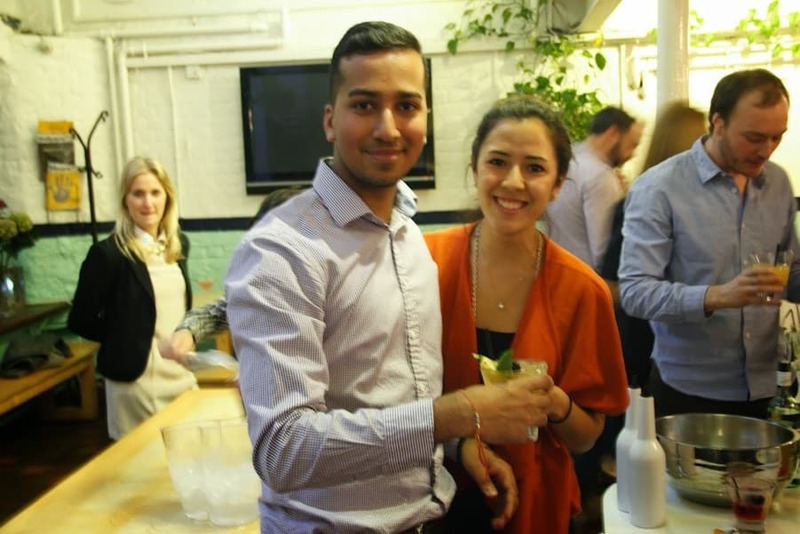 Prices start from only £35pp to help you throw the best office cocktail party ever. 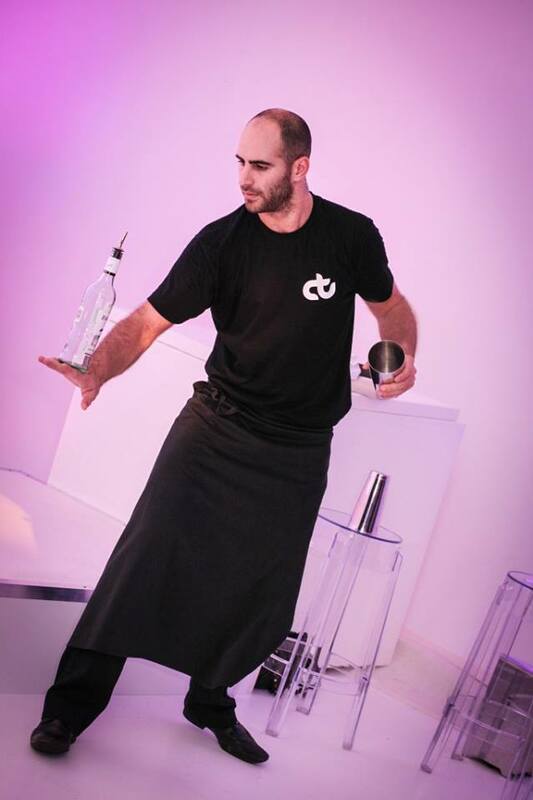 For further information on packages and services across the UK call Exquisite Cocktails on 01865 366 276 today.